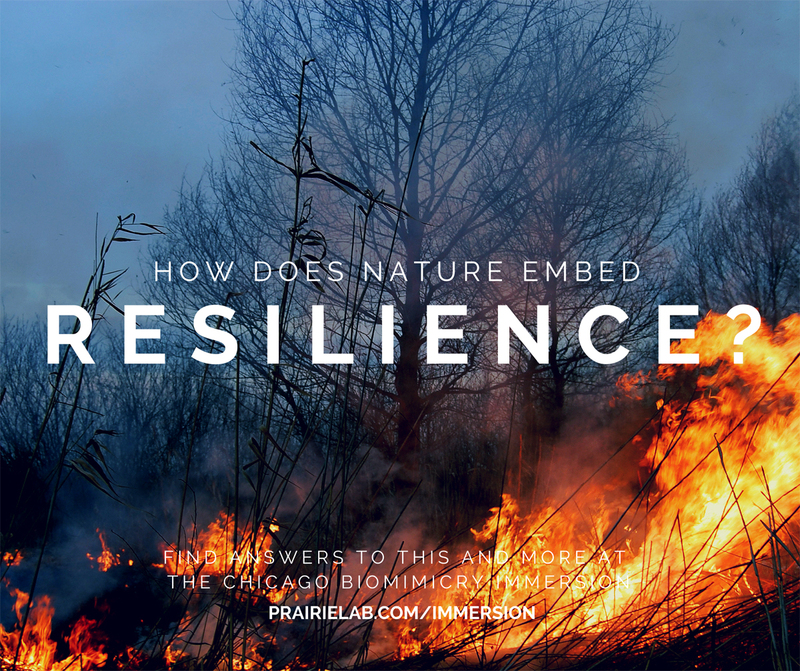 What can the prairie teach us about reilience? Find out at the final workshop of the series! USGBC-Illinois has partnered with Prairie Lab, LLC, to offer a unique, immersive educational experience. Immerse yourself in nature’s water, energy, waste, and resilience strategies while walking our native ecosystems and exploring the biomimicry innovation toolkit and resources. This training will give you the tools and resources you need to create locally-attuned buildings, communities, and environments that “fit in” again with the ecosystems they inhabit, making the achievement of green building benchmark standards, such as LEED and the Living Building Challenge, intuitive and natural. The next Immersion is on Saturday, October 17, from 10am to 2:30pm at the award winning Morton Arboretum in Lisle, Illinois (a suburb west of Chicago and accessible by BNSF Metra). This session is entitled “Learning from Nature: ReDiscovering Natural Inspiration for Innovative Design” and will focus on discovering natural models for well-adapted sustainable design. Get outside on a beautiful summer day and enjoy learning about how nature can be a source of inspiration for your next design project! Visit prairielab.com/immersion or contact amy@prairielab.com for more information. Be sure to enter USGBC10 for 10% off the cost of registration and to help support USGBC-Illinois.